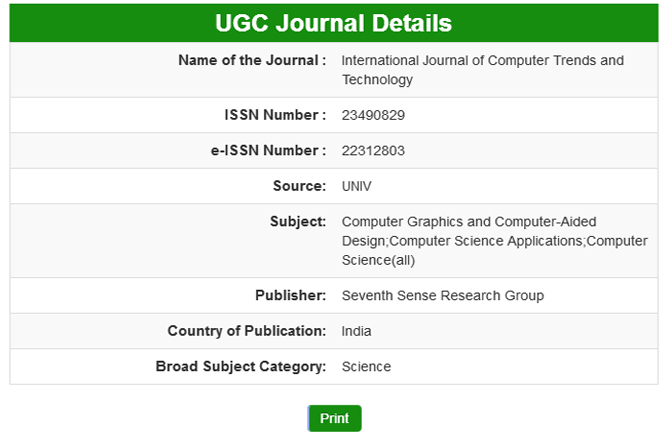 International Journal of Computer Trends and Technology - IJCTT welcomes the submission of manuscripts that meet the general criteria of original and scientific excellence. For this purpose we would like to ask you to contribute your excellent papers in computer sciences and various engineering fields. Manuscripts submitted to this journal will be deemed as they have not been published and are not under consideration for publication elsewhere. Submit your paper in the form of Mircrosoft word format(.doc or .docx) , if you were used latex software for article preparation then send it in PDF format. submiting the paper in multiple journals are offence, Don't waste our valuable time. once the paper is accepted, it can't be withdrawn at any cost. Please follow publication ethics and regulation. Avoid plagiarism and copied material.